Don't Come to Stockholm! Madame Curie's Nobel Scandal : Krulwich Wonders... The Nobel Prizes are often filled with controversy -- be it an empty chair, death, or in the case of Madame Curie, a torrid love affair. 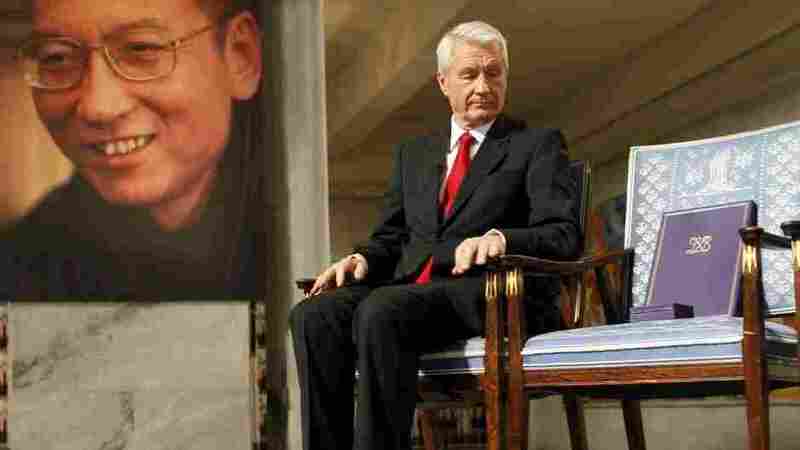 Here it is, the empty chair in Oslo. The one Liu Xiaobo couldn't sit in. And here's a related Nobel story I bet most of you have never heard of. It concerns, of all people, Madame Curie. I read about it in Lauren Redniss' excellent new book Radioactive -- a picture book/narrative that describes the chemist Marie Curie's life. Redniss gets into (and illustrates) this incident in exciting detail, but here, very briefly, is the gist. 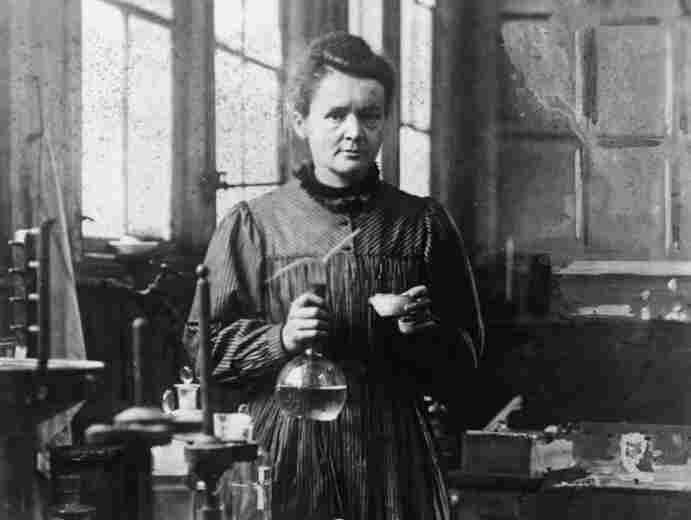 We begin in 1911, when the Nobel Committee announced that its Chemistry Prize would go to Madame Marie Curie for her work with radium and polonium. This was her second Nobel. She'd previously shared the Physics Prize (1903) with her late husband Pierre. Writes Lauren Redniss: "Not only was she already the first woman to receive the prize, but now she was poised to become the first person, man or woman, to win it twice." She was invited to Stockholm to the award ceremony and the dinner with the King. But suddenly there was a problem. But, (and this was awkward) Paul Langevin was married. It wasn't a happy marriage. Madame Langevin, it was said, had once whacked Paul on the head with a bottle. She said she'd been whacked back for cooking an insufficient dessert. Madame Langevin knew her husband had occasional dalliances, but this time, writes Redniss, "She found his relationship with Marie more upsetting, and before long a violent animosity rose up between the two women." The affair went on. Paul and Marie rented a secret apartment for encounters. Paul: "I am trembling with impatience at the thought of seeing you return at last, and of telling you how much I missed you. I kiss you tenderly awaiting tomorrow..."
They were careful. "Be sure you are not followed by anyone when you come to me..." she wrote him. But Madame Langevin not only knew what they were up to, she had their letters stolen from the apartment and told them both that if she had to, she would expose them to the newspapers. Then, says Redniss, three days before Marie Curie won her second Nobel Prize, Madame Langevin publicly declared that her husband and Marie Curie were having an affair, and she demanded money and custody of the children. Newspapers around the world reported on "the greatest sensation in Paris since the theft of the Mona Lisa." French papers largely sympathized with Jeanne Langevin, churning out maudlin articles about selfish devotion to family and long-silent suffering. Marie was cast as the conniving tramp who had ensorcelled a married man. Worse, she was a dangerous foreigner -- a Jew! They shouted, inaccurately...A date was set for the Langevin trial -- to begin just as Marie was scheduled to accept her Nobel Prize in Stockholm. The ceremony was scheduled for December 10th. The Langevin's court date, also December. That is when the Nobel Committee, Lauren Redniss says, "waffled." 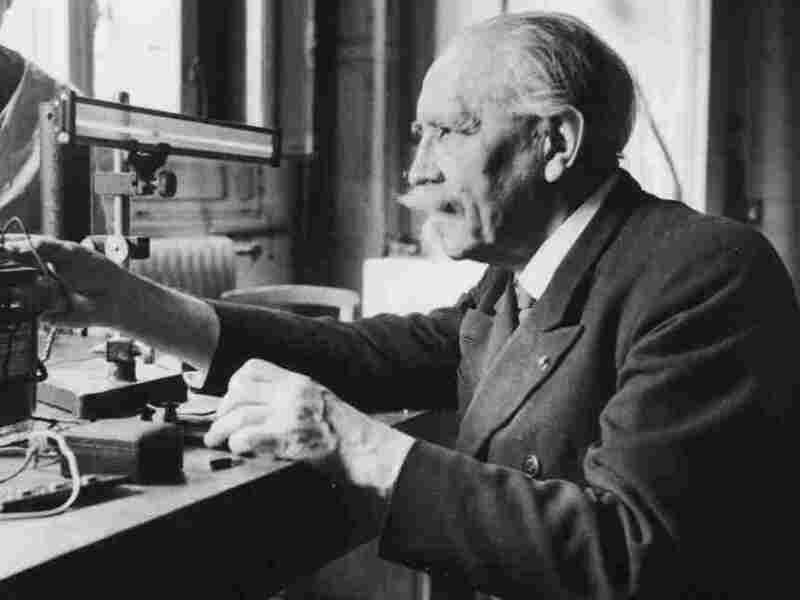 Said Biochemist Olof Hammarsten: “We must do everything that we can to avoid a scandal and try, in my opinion, to prevent Madame Curie from coming. If she comes and this matter surfaces, that would create difficulties at the ceremony, in particular at the banquet. It would be quite disagreeable and difficult forth Princess apparent as well as for other royal figures in the audience and I don't know who could have her at their table." Wrote Nobel laureate Svante Arrhenius to Marie: "I beg you to stay in France; no one can calculate what might happen here...I hope therefore that you will telegraph...that you do not wish to accept the prize before the Langevin trial shows the accusations about you are absolutely without foundation." Albert Einstein (who Redniss points out had earlier fathered an illegitimate child with a former student) had a different view. He said, Go to Stockholm! ...stop reading that drivel. Leave it to the vipers it was fabricated for. "I am convinced that you [should] continue to hold this riffraff in contempt...if the rabble continues to be occupied with you, simply stop reading that drivel. Leave it to the vipers it was fabricated for." After a tense summer and fall, with the trial still to come, Marie Curie, "bruised but defiant," went to claim her prize for the discoveries of radium and polonium. The ceremony passed without incident. Then, writes Redniss, after the ceremony, she sat down to an 11 course dinner with the King of Sweden. 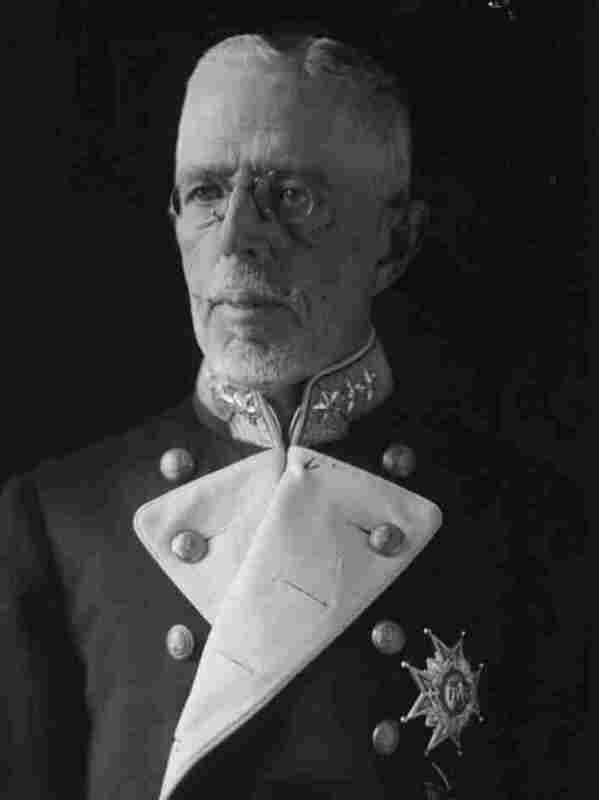 The Swedish Academy need not have fretted; not only did dinner go smoothly, but before King Gustaf's reign was over, he, too, would be accused of a love affair, also with a married man. The assertion, leveled by an aspiring restauranteur and convicted murderer named Kurt Haijby, cost the royal court thousands of kronors in hush money, but their efforts to suppress the story proved futile. Ten days after Marie Curie got her Nobel Prize, the Langevins -- Paul and Jeanne -- settled their differences out of court. Jeanne got custody of the children. Paul won visitation rights. But the strain of publicity, anxiety had taken its toll. Paul Langevin and Marie Curie "would remain in contact and talk regularly about scientific matters," says Lauren Redniss, "but the romance was over." And that’s how the story ends. Nobel prizes, as we all know, are double-edged, giving pleasure and pain to their recipients. Liu Xiaobo (serving an 11 year prison sentence for subversion), Aung San Suu Kyi (until recently under house arrest in Burma) Lech Walesa of Poland (who didn’t go to Stockholm fearing the Polish government wouldn’t let him back) Andrei Sakharov (the Russians wouldn’t let him out) and Carl von Ossietsky (the Nazis put him in a concentration camp) can all testify to that. Madame Curie didn't suffer as they did. But the story does point out that when we honor our heroes, we don’t always honor ourselves. Lauren Redniss' new book is Radioactive: Marie and Pierre Curie, A Tale of Love and Fallout (Harper, Collins 2010).